All this week, NPR ran a series about privacy in the digital age. Everyone knows everything about me. And most of this is voluntary. I post my birthday on Facebook, my favorite movies on Rotten Tomatoes, my shoe size on Zappo’s. Amazon not only knows what I like to read, it tracks what toys I buy for my nephews and nieces and where they live. It is public knowledge which politicians I have given money to, and how paltry my donations have been. I’ve asked WebMD about the weird little pain behind my left ear. My GPS knows I got lost five miles from home. Thank God I don’t wear a Fitbit, or everyone would know my blood pressure and sleep rhythms. And of course, there’s my blog. Over the last two years I have shared my trivial childhood traumas, my bad boyfriends, makeup purchases, new hairdos, senile cat behaviors, vacation packing, wifely complaints — well, simply every inane thought that has ever popped into my head. What saves me is the hundreds of millions of other folks who post every inane thought that has ever popped into their heads. I figure there is so much inane data out there, the NSA is probably not that interested in me. Unless of course they are looking for a really good mascara. And I have proof that there is too much information out there to possibly sift through it all. Yes Siree…. Living Social thought I would like to play prison escapee. For the low cost of $80 per entrant. You start with your hands tied. 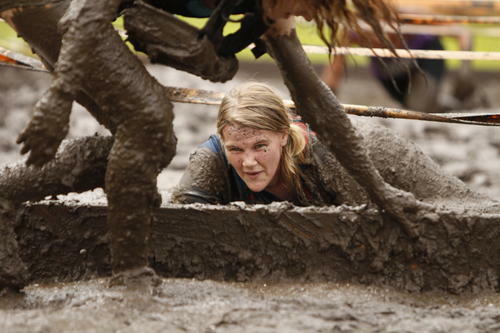 You free yourself and then run three miles through a mud and obstacle-filled course. And the “prison guards” chase you. The obstacles include swimming moats and carrying tires (I guess you need tires for the getaway vehicle.) And be prepared to jump over fire, which greatly adds to the fun. Prison costumes are encouraged, although it is okay for female fugitives to wear bikinis. It is recommended, however, that you wear clothes and shoes that you wouldn’t mind if you have to throw them away after. Sure! What spa do you like? The Mud Spa, of course. For me, it would be a toss-up. I got offered my choice of yachts. You can have those if you want because apparently my online purchases of Dramamine didn’t register. You made the perfect argument over why the worry about the NSA is so overblown. Because we tell everybody everything ourselves! I wouldn’t want the job of sorting through the trivial to find something that matters. LOL. Great post to “start” my day. No mud runs for me, fugitive or otherwise. I garden. I do not choose to get dirtier than that. That must be it! My husband probably put them up to it! I think perhaps they do a search for terms but not for context. I wrote about the Boot Camp fitness class at my gym. But I wrote that it would make me cry. They do warn you that you may have to throw away your clothes and sneakers. These mud things seem to be catching on as fundraisers. A Mud Run is coming up…I’ll pass. I like fundraisers that include cookies. I need to start releasing more personal data. I only get solicitations for Stride Rite. I get mostly clothing retailers. They know my weekness. I am now getting solicitations from Korean retailers. 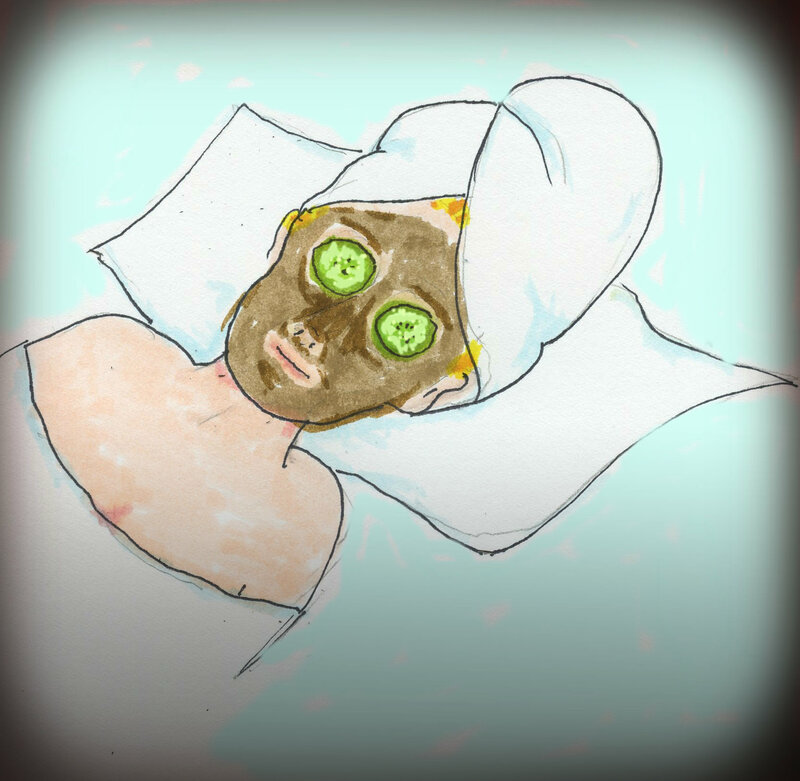 The spa day sounds good to me. They can keep the breaking out of prison day for someone else. I could wear my sneakers to the spa. That is as close as I will come. I don’t like mud, not on my face and not to crawl through. But if you want a sponsor I would be happy to sponsor you. You could sponsor my massage…. I think I’ve arrived at the point where I think that anyone who snoops my info deserves what they get. My issue is that I tend to write fan fiction for series that use lots and lots of those “hot” words … I mean, can you write spy fiction without the words that indicate a certain level of violence? Not really. Mud vs chocolate … I think I’ve covered the guys in both … but not at the same time and not necessarily on their clothes … Lovely post.